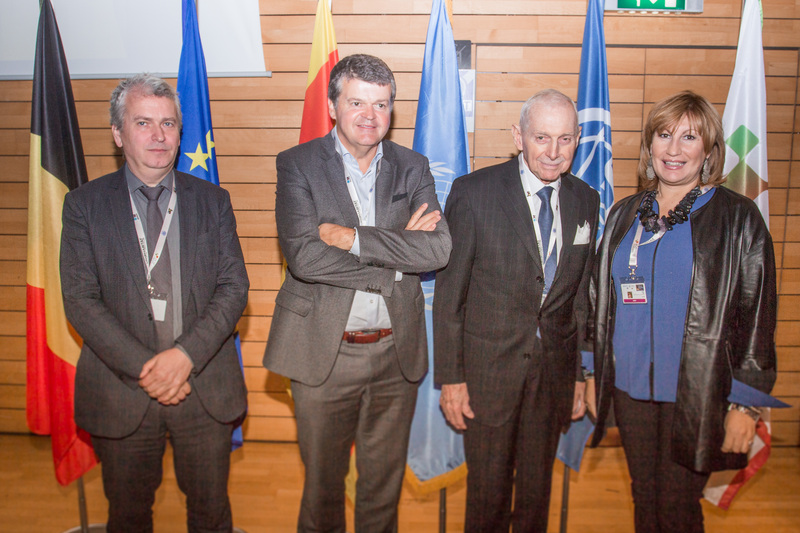 The Global Conference on Cities and Migration was held in Mechelen, Belgium (16-17 November). Hosted by the Belgian Ministry of Foreign Affairs, Foreign Trade and Development Cooperation and the City of Mechelen, the conference was co-organized by partners UN-Habitat; IOM, the UN Migration Agency; and United Cities and Local Governments (UCLG). The conference aimed at helping to build a more positive narrative on migration from the perspective of local and regional authorities, recognizing that people migrate mainly to cities and to reinforce the need to recognize local authorities as key actors in migration management and policy making, as reflected and embedded in the process of the Global Compact for Migration (GCM). An OpEd by Dr Joan Clos, Executive Director of UN-Habitat; William Lacy Swing, Director General of the UN Migration Agency (IOM); and Emilia Saiz, Deputy Secretary General of United Cities and Local Governments (UCLG). Human beings have always been motivated to move about in search of better land, better resources and better opportunities for their children. Mobility is mankind’s oldest and most successful poverty fighter—to make the poor richer, and the rich even richer still by spreading wealth, trade and expertise that benefit all of us. However in modern times we are finding the pressures on both our sender and receiver societies and economies to be draining, so we need to find solutions that benefit both the mobile newcomers and the host communities they flock to. Migration is driven by a variety of push-and-pull factors which, in turn, are shaped by context and circumstance. There are currently 250 million migrants worldwide, all facing challenges. Many are forcibly displaced find refuge and find themselves among those who already struggle with poverty in lower-income countries. Yet regardless of where in the world migrants are—or why—with more than half of the world’s population living in cities, migration and the factors that drive it, are predominantly urban in nature. People are of course drawn to the natural concentration of services and opportunities that can be found in established human settlements. But there are other, more subtle pull-factors, too. Cities often provide wider opportunities for participation where migrants can have their demands heard. Their institutions are closer to the population and more attuned towards understanding the different needs of people. Cities can directly benefit from new inputs to processes and workflow and are quicker to react and accommodate extra workers. At the same time, local authorities also face the most direct demands on resources to provide services to various sections of the population, and have closer contact that allows them to understand which different approaches provide the most efficient access.This is why local authorities are critical to the dialogue around migration and how to harness the opportunities it generates for local and national benefit. City planners and managers need to take migration into account when looking at the future of urban areas and human settlements. We need to meet this challenge head on, together. In December 2018, UN member states will gather in Morocco to endorse the first Global Compact for Safe, Orderly and Regular Migration (GCM). The GCM will present a framework for comprehensive international cooperation on migrants and human mobility and set out a range of actionable commitments, means of implementation and a framework for follow-up. In the run up to this, the city of Mechelen and the Government of Belgium hosted the Global Conference on Cities and Migration on 16 and 17 November. This conference aimed to facilitate key decision makers’ views on actionable recommendations on cooperation for migration governance and local and national levels in follow-up to the Habitat III conference and the New Urban Agenda, and as input to the stocktaking meeting for the Global Compact. It explored more effective approaches to urban governance that account for greater diversity, including migration policies for inclusive growth. The discussions of the conference resulted in the Mechelen Declaration on Cities and Migration, to be considered as input to the preparatory process of the GCM ahead of the intergovernmental stocktaking meeting in Mexico, in December 2017. The challenges migration presents are significant. With honest and open dialogue about how we plan and manage our urban areas, the opportunities will be greater.